It is almost thirty years since the onset of transition process in the former socialist countries of South East Europe. While some countries made the transition from centrally planned to market economies following the collapse of the communist regimes, Yugoslavia began its transition process from decentralised self-management socialism as part of an ambitious set of pro-market reforms initiated in the late 1990s. The break-up of the country and the experience of armed conflicts led to a variety of transition paths in the successor states, involving different approaches to privatisation and other aspects of transition policy. The countries of the region also have a varied relationship to the EU, with some having made the transition to member state status, with others still at various stages of accession and integration to the EU economy. Countries of the region have also felt a differentiated impact of the economic crisis that began in 2008 depending partly on their dependence of their growth path on external flows of credit which came to a sudden stop at the time. The economic recovery process has been intertwined with political developments that have led to democratic backsliding in some countries, reversing the process of democratic consolidation that was thought to be an important accompaniment of economic transition. In his long career as an active researcher in all these processes at the Belgrade University Faculty of Economics, Professor Božidar Cerović covered many of these issues in his published work, with a special interest in the causes of the failures of the transition process in the South East Europe region. He analysed the outcomes and effects of privatisation, industrial policy, innovation and intangible capital, and the role of export-led growth in economic recovery among other issues. He also had a particular concern for the lingering impact of initial conditions and the economic and institutional heritage that set the context for the varieties of transition experienced in the region. His keen interest in these topics motivates the themes of the workshop on the comparative economics of transition in South East Europe. This workshop is designed to advance the research programme pursued by Božidar Cerović in the field of comparative economics of South East Europe. It aims to provide a forum for the latest research on all aspects of economic transition and European integration in this region and beyond. Papers are welcome from a wide variety of traditions of economic analysis. Empirical papers focusing on comparative analysis of economics of the region are encouraged, while individual country studies related to the workshop themes are also welcome. 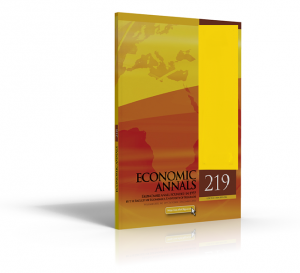 After the workshop, the best papers will be considered for publication in a thematic issue of Economic Annals to be published in autumn 2020. 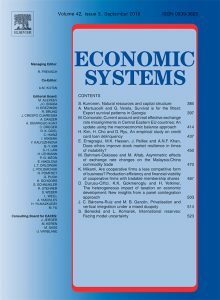 Papers will also be considered for an edited volume to be published by Scientific Society of Economists of Serbia.